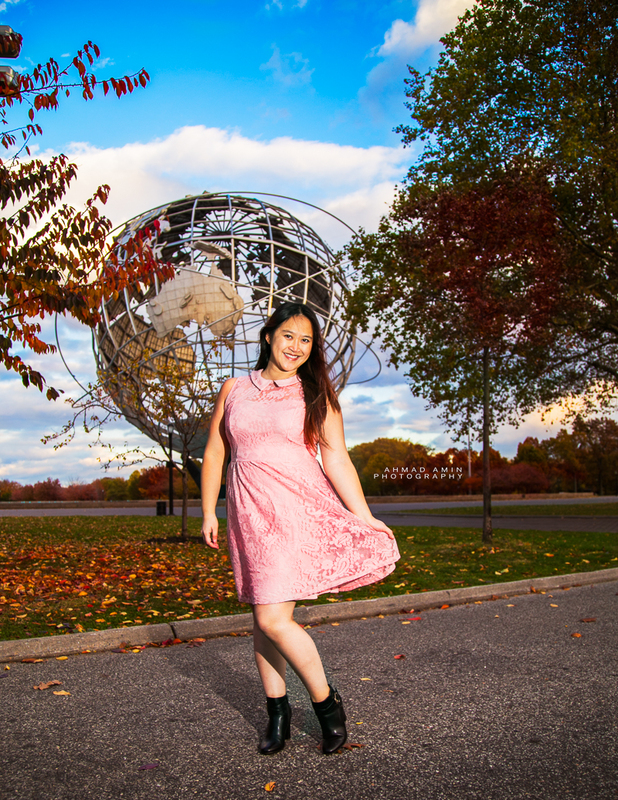 I have been neglecting my modeling for the past couple months, but had a recent Autumn shoot at Flushing Meadows Park with photographer Ahmed Amin. The day was slightly sunny, blustery but certainly not as cold as it has gotten, of course. And the park was absolutely beautiful. Breathtaking even. It’s ironic that I live in Flushing and have not properly visited this park before. I will have to explore it more at a later date: Spring, when it’s warmer. 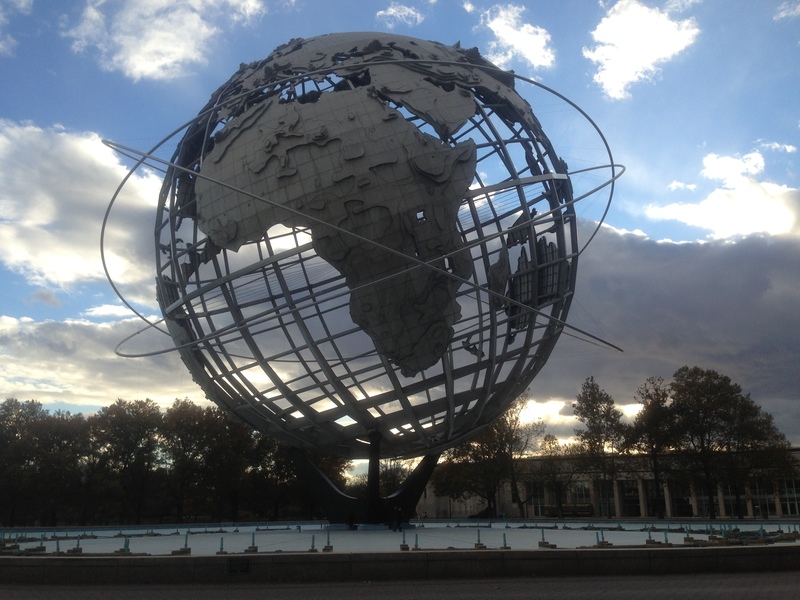 Flushing Meadows Park is home to the Unisphere, which is an incredible display and humongous. When I first arrived to the park and saw it in person, I gazed up in it in awe. It rendered me speechless and it took me a moment to catch my breath. There’s a very replica at Columbus Circle, which in no way, shape or form compares to the the masterpiece of steel and construction in Flushing Meadows Park. After composing myself, I met up with the photographer and I changed into my first outfit, which was a sweet pale pink lace dress by Xhilaration. The dress was paired with smart high heel black boots (Merona) with gold belt buckle detail on the side. I tried it first with the Levi’s leather jacket that I had brought with me and found that it didn’t work, so proceeded to shoot for the next hour in just the dress. Even though it was cold and getting chillier, I was in the zone and didn’t really feel it. 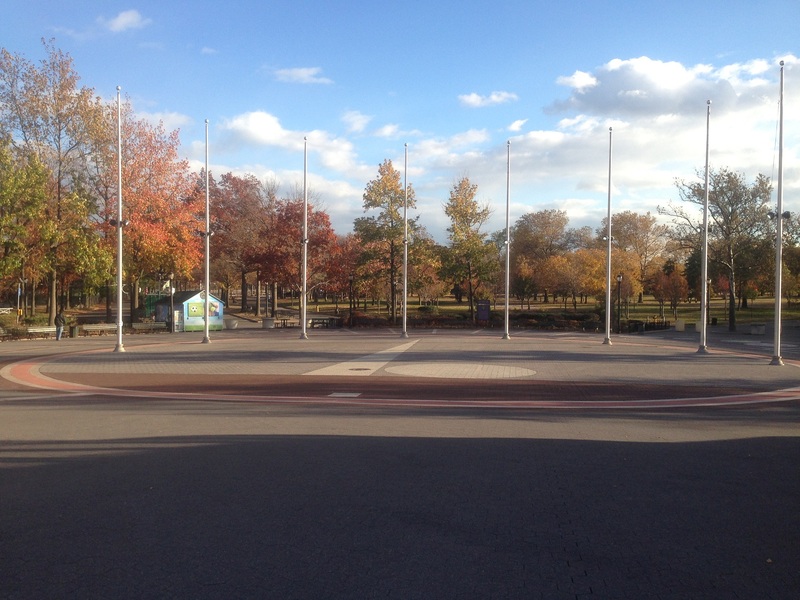 We started near the Unisphere, where I spotted a cute gazebo which I ran to, posing against and around the structure. I believe this shot shows off the dress and shoes really well. We then got some shots with the Unisphere in the background. I had fun with it, posing in different ways, shapes, forms; flipping the hair; giving happy, fun, sweet, sassy expressions and looks. I like the flirty pose of this shot and the way the photographer has captured the cut and sway of the dress. There is usually a fountain running along with the Unisphere, but the day we were shooting the parks apparently decided to turn it off. 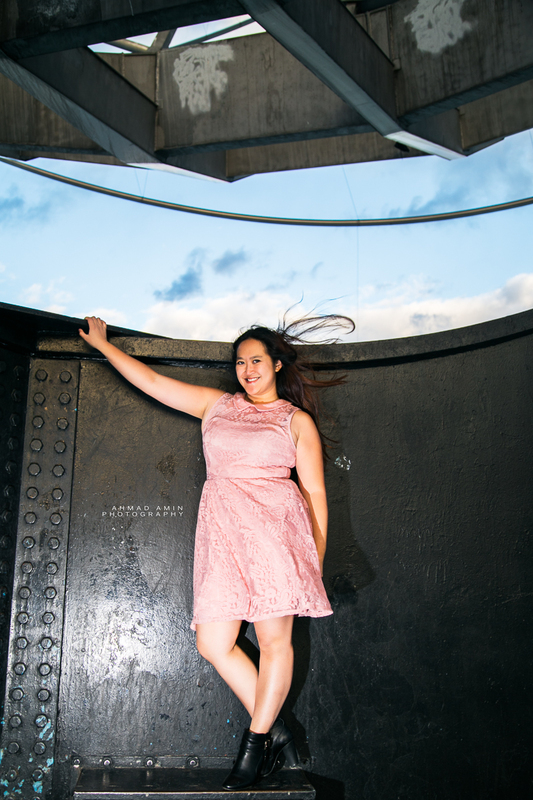 Despite the disappointment of not experiencing the Unisphere in all its glory, it worked in our favor, because I had the opportunity to climb across the fountain area and then up under the Unisphere! It was exhilarating to be so high up, which definitely shows in my expression. At this point, the sun was starting to go down and it was starting to get darker so I changed into a more suitable outfit. Grey skinny pants with black zebra stripes by Jolt, the Levi’s leather jacket, and a Cable & Gauge jewel turquoise colored turtleneck. 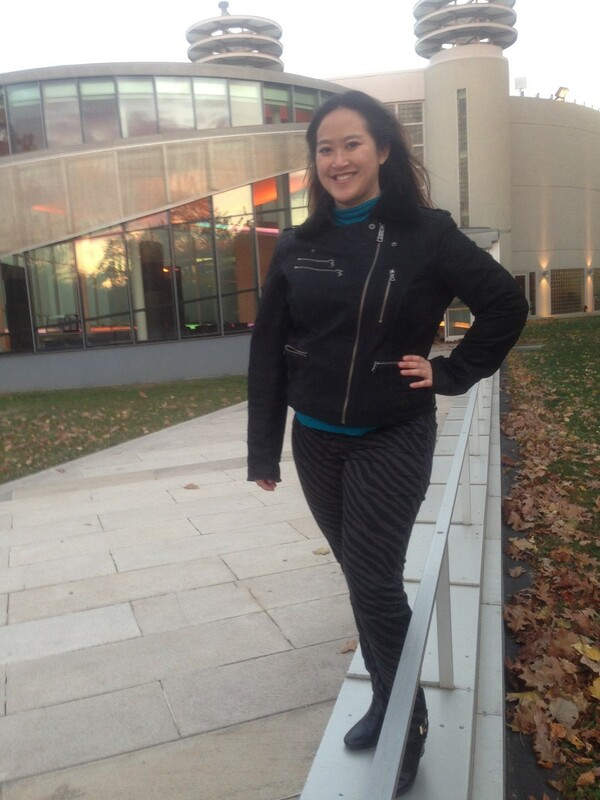 The photographer snapped a quick shot of me in this get up in front of the Queens Theater. 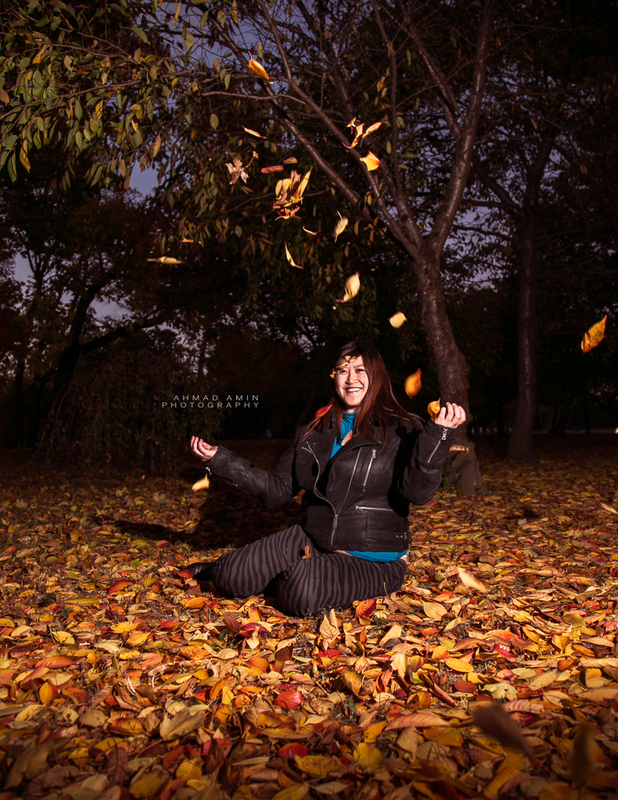 We took some shots of me sitting on the bench, in front of a tree lined area then picked a spot full of leaves where I sat and had some fun throwing leaves up in the air for an Autumn-themed shot. Then we did some shots of me in a tree and closer up ones hanging onto trees/branches. I personally love how this shot is dark all around, but lit up where it counts- My face and my hair, showing off the red color.